This is the Spring Branch Bowling Club, halfway between Austin and San Antonio going “the back way” through the Hill Country. 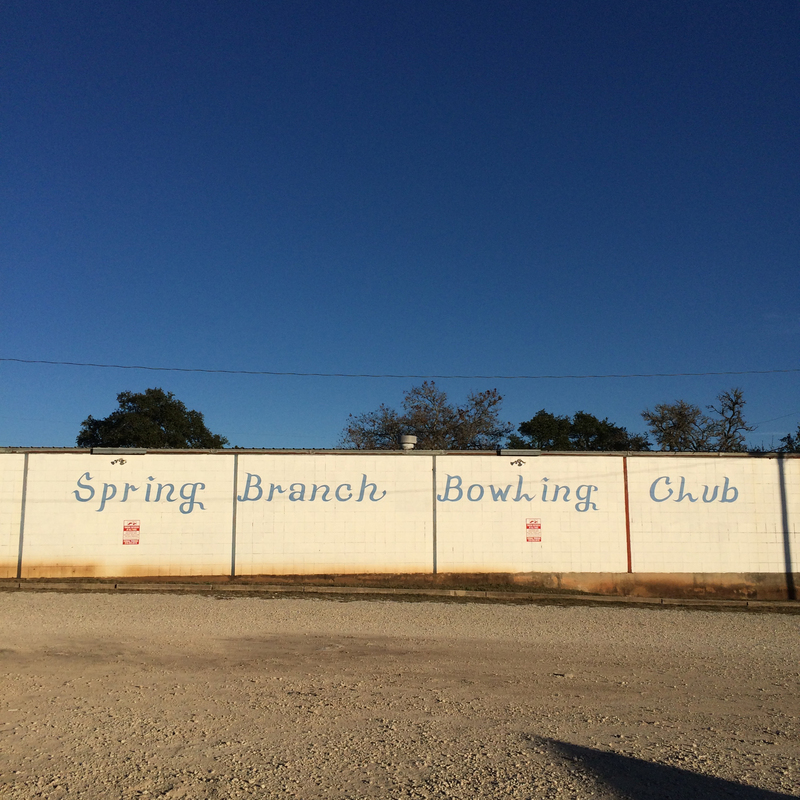 There are quite a few old small-town, nine-pin bowling clubs throughout Texas that remain gathering spots for the locals. Nine-pin lanes are not automated, so the pins are set and the balls are returned by hand, usually by local youth. I have also had the pleasure to visit the Blanco Bowling Club. Their cafe is very popular in the community and features classic American food alongside Tex-Mex plates. 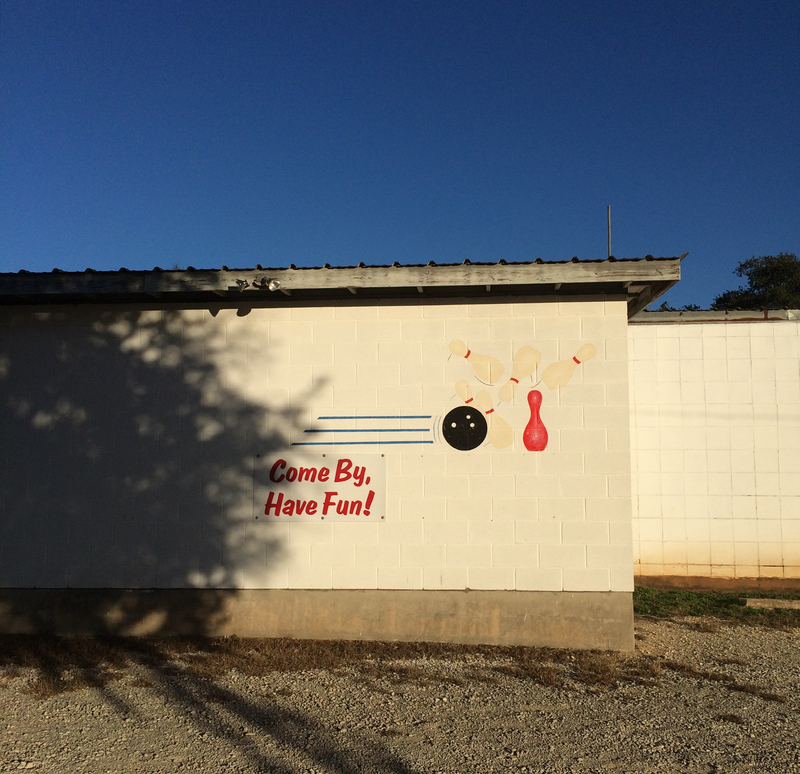 You pretty much have to go outside of Austin for original bowling alley action — sadly-but-understandably all of the alleys in Austin have been remodeled.